How do I download papers published in SAJG? How do I transfer from my current membership category to another? Have I renewed my membership? Where do I find the current contents of SAJG? What SAJG content is available online? Can you provide a colleague’s (or friend’s) contact details? How do I sign-up for GeoScienceWorld’s eTOC Content Alerts and My Favorite Journals? You may join for the current calendar year by going to Membership Application. Follow the instructions on page 3 of the form. 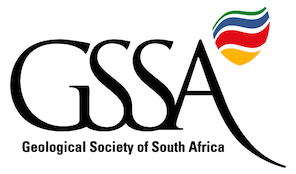 Papers published in the South African Journal of Geology are available (in PDF and HTML format) on the SAJG website at GeoScienceWorld. GSSA members have access to the full content by using the “SAJG Online” link found on the GSSA website. To gain access to the full SAJG content (complete text) at the GeoScienceWorld website, GSSA members must follow the instructions described in this document: GSSA Members SAJG Online [pdf] (located in the GSSA website Downloads area). You may apply for a membership transfer by downloading the GSSA-MemberApplic Form-2013[doc] from the GSSA website. Follow the instructions on page 3 of the form. If you are already a member and need to change any of your contact information, such as a change of address, please login to the website and edit your membership profile. You can also contact GSSA head office using the details at the bottom of this webpage. Please login to the GSSA website to view your membership profile. The fee structure for 2015 is summarised here. GSSA memberships are all on a calendar year schedule (January through December) no matter when you join. The Geobulletin and SAJG are sent to all members (except certain student membership categories); if you stopped receiving your copies after December, either we do not have a correct address for you, or your membership has lapsed. Please contact GSSA head office using the details at the bottom of this webpage. Orders are generally shipped within one week. For more detailed information, please contact GSSA head office using the details at the bottom of this webpage. You may place an order for publications sold by the GSSA by using this form. If you have a question regarding the availability or price of an item, please contact GSSA head office by clicking here. The table of contents (TOC) for the South African Journal of Geology is available on the SAJG website at GeoScienceWorld. A free alert service emails you the table of contents when new issues of SAJG are published online. Follow the instructions listed in the FAQ entitled How do I sign-up for GeoScienceWorld’s eTOC Content Alerts and My Favorite Journals? to activate this free service. The following content is archived on the SAJG website at GeoScienceWorld: (a) SAJG papers, full text in PDF and HTML format (including any supplemental data), back to vol. 103 (2000), (b) SAJG abstracts, in HTML format, back to vol. 87 (1984). Please contact the GSSA head office for the contact information, by using the details at the bottom of this webpage. We honor our members’ privacy and may not be able to release contact information to you, but we are willing to contact the member for you directly and give him or her your contact information. To sign-up for alerts, you must first create an individual user account on the GeoScienceWorld (GSW) website. Please Note: The GSW user account will be different from your user account to log-in to the GSSA website! Create your GSW user account by registering on the GSW website – you will then need to fill-in your unique email address in the blank provided, and click the button that says “Begin New Registration”. The next page, will then ask for your First Name, Last Name, and Organization. Once you’ve completed that part, you then need to create a User Name and Password in the blanks provided. Once those are all filled in, you then need to click on the “Send Form” button at the bottom of the page. Once that process is complete, you should then be able to sign-up for Content Alerts and set-up a list of Favorite Journals. The Content Alerts link is also on the GSW home page in the upper right – look for the gray boxes called My Content Alerts and My Favorite Journals. Each has a link associated with them. For Content Alerts, click on the “Monitor” link. On this page, you’ll then be able to sign-up for both content alerts (electronic tables of contents, or eTOCs as they’re called) and alerts for new hits on saved searches, called CiteTrack Alerts. Both of those subsidiary links have pages with forms on them to create the desired alerts. For the Favorite Journals function, click on the “Track” link in the upper right of the home page. This will take you to a form where you can check-off which journals you’d like to monitor. This function will then create a display of journals for you (when you’re signed-in to the GSW website) on the home page, indicating when each of your favorites has been most recently updated. Also, on the GSW Advanced Search Page you will then have the ability to click on the radio button for “My Favorite Journals” in the “Select Content to Search” section of the page, thereby receiving search results from only those journals in which you’re most interested.